Sci-Fi, excuse me, SyFy Channel is teaming up with Acclaim Games to launch a new SyFy label for new games, the first of which will launch this spring, alongside a new casual games portal that aims to bring that SyFy flavor to kids. 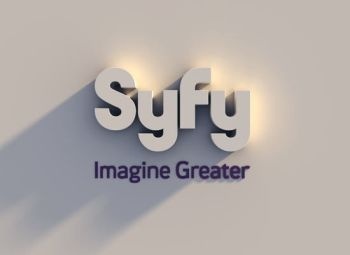 The Sci-Fi Channel's planned metamorphosis into the SyFy Channel this summer isn't just an effort to give the company a new name. It's part of an overarching effort to rework the company into a "global lifestyle brand," as Sci-Fi President Dave Howe put it. To that end, the channel will be expanding into movies, kids entertainment, and, inevitably, games. The first fruits of that effort will come from two partnerships: one with Acclaim Games and one with ZooKazoo, an online virtual world for kids. No, that's not the Acclaim Entertainment you remember from NBA Jam or Mortal Kombat. That company went bankrupt, but the name was sold and now belongs to another company which produces free-to-play MMOGs you may have never heard of like 9 Dragons. Acclaim Games will be producing a game for the scifi.com website, called Tales of Magic, which does sound like the title for a free-to-play MMOG. As for ZooKazoo, which is an online cartoon world for kids, SyFy will be getting a special Sci Fi Club that'll exist inside the game world, so kids can start learning the valuable lessons science-fiction has to teach them like that your best friend is usually a Cylon and don't eat Soylent Green, because it's people. If you're still in shock that SyFy even exists, it should be hitting home now.